A creative idea from the Sunshine Coast has generated interest and smiles from the residents of Totem Lodge and the Shorncliffe Care Facility. 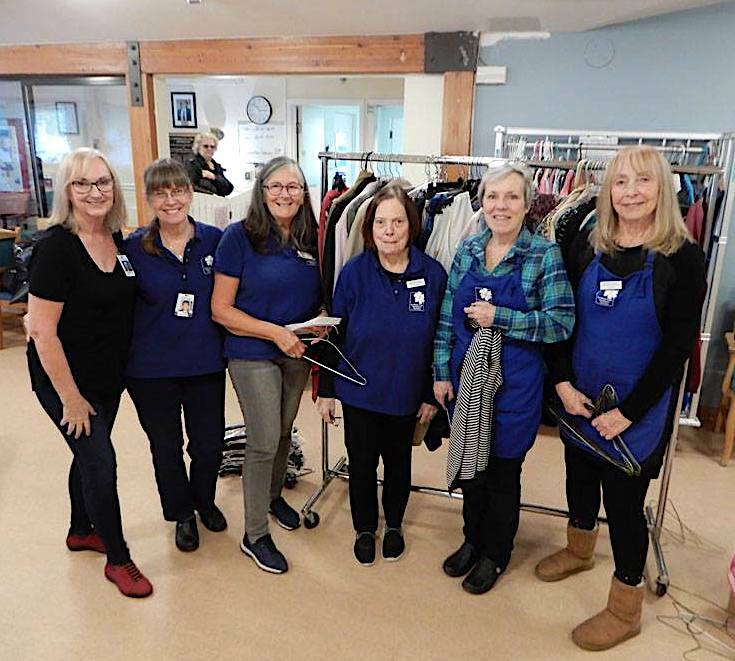 As described on its Facebook Page (March 5, 2019), volunteers from the Sunshine Coast Healthcare Auxiliary offered the residents Christmas stocking vouchers for the Auxiliary Thrift Store. But due to mobility challenges, an innovative way was needed to make the clothing and other items readily accessible – a “Pop-up” Thrift Store. For over a month, Auxiliary volunteers sorted through and selected clothes, shoes, accessories and jewellery that would be appropriate and a good fit. With the help of Shorncliffe staff, residents were treated to a variety of racks and display tables and an opportunity to browse, try on and, perhaps, leave with something new and pleasing. Indeed, the menswear quickly ran out and other items as well. After this initial success, there may be other such “Pop-up” opportunities for some thrift shopping fun, socializing, and community outreach.